Anyone who makes the drive to Corolla, NC, is going for the oceanfront. The miles and miles of unspoiled beaches and tasteful cottages are the Corolla, NC, attractions that draw people from around the world. You can't resist getting mesmerized by this Corolla, NC, attraction. Even driving along, following it northward, you keep thinking you’re going to get somewhere and then the paved road just ends. You can keep going, however, driving on the beach into the Corolla attraction that the locals call the four-wheel drive area, which leads out of Corolla, NC, and up to Penny’s Hill, Swan Beach and Carova Beach, where there are more Corolla, NC, vacation rentals and a few full-time residents, including the wild horses. About 10 miles up the beach, there’s a gate blocking you from entering the state of Virginia. This is where the Currituck’s Outer Banks ends. You have to turn around and go back the way you came. 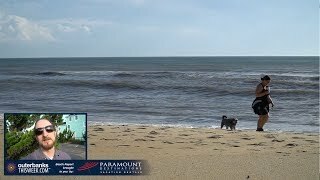 With such pristine and beloved beaches being a top Corolla attraction, it comes as no surprise that many activities, like fishing, bodyboarding, surfing, standup paddleboarding and sunbathing, happen in Corolla, NC. Currituck County is home to a rich and distinct history, and one of the best ways to discover it is in Corolla, NC. The Whalehead Club and the Currituck Beach Lighthouse are the two major attractions for visitors in the area. Everyone loves climbing the lighthouse, and people return year after year to see the unique architecture at the historic club. The newest Corolla, NC, attraction in the Center for Wildlife Education at Currituck Heritage Park. Just north of the lighthouse is the historic village, a charming Corolla attraction. Here you’ll find old homes, quaint shops and friendly folks in an atmosphere that is very different from the rest of the beach. The inspiring shops and family owned restaurants bring visitors and locals from all over the Outer Banks to tiny Corolla, NC.